This project was originally created for a big expo we had on campus. I designed this interactive quiz in Storyline for a big-screen touchscreen TV. 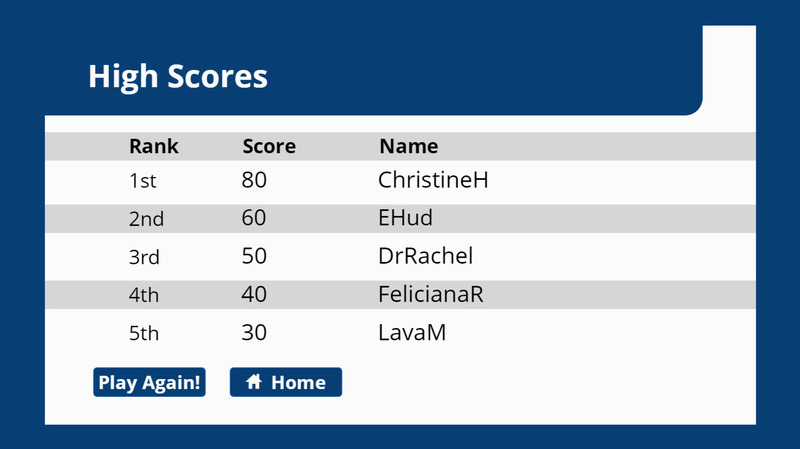 I added on the leaderboard to entice participants – and it worked! 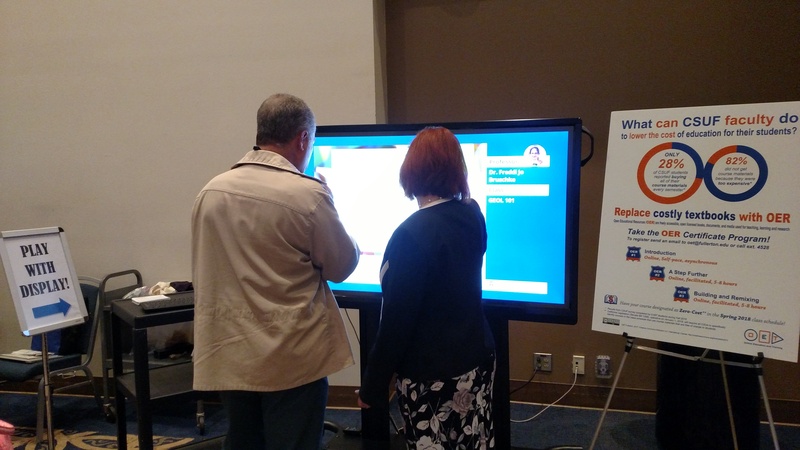 Participants enjoyed this feature and compared their scores. Even better, each quiz is different – the questions are pulled from a question bank, so you never play the same game twice. 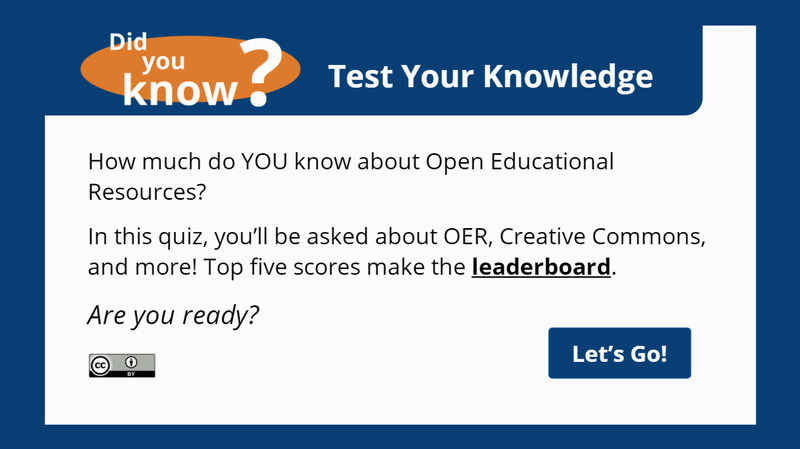 This version tests your knowledge of Open Educational Resources and Creative Commons licenses! 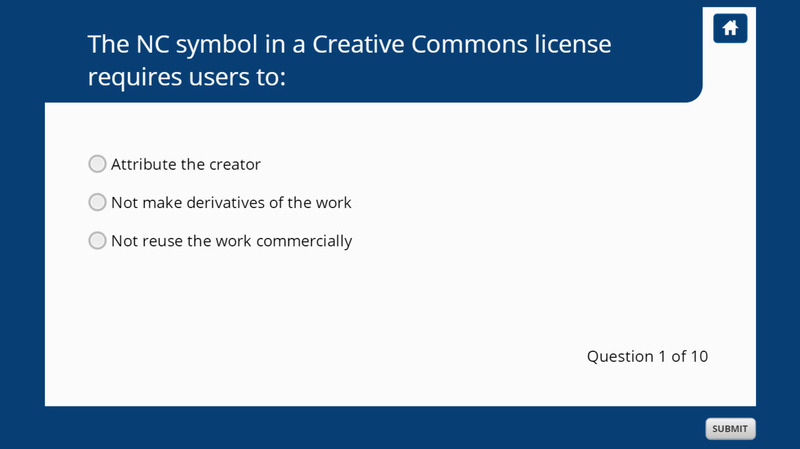 So, of course, the published version is licensed CC-BY 4.0 so that you can reuse it wherever you like! Read about how I developed the leaderboard.